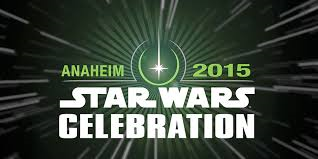 The Batcave Toy Room is on the way to Anaheim, California to join thousands of Star Wars fans and geeks alike for the 2015 Star Wars Celebration from April 16 - 19. If you happen to catch me give a shout out. Until the we'll be back with more collectible and cosplay news than you can possibly imagine from the event. Ooh..lucky! I hope you have a blast!